We supply a selection of design bicycles, e-bikes, transport bikes, folding bikes and accessories. In our Atelier on the Herengracht in The Hague we sell our own bicycle designs. We also have new bikes from well known national and international brands. Of course we have a large selection of stylish bike accessories; Locks, helmets, saddles, handles, bells, lights and so on. We also find nice and useful ‘ UP-CYCLE ‘ products of used bicycle parts. So if you are looking for a unique gift stop by at BINKBIKES. 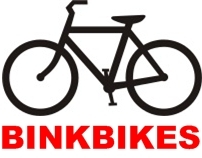 In our Service Centre in BINK36 we handle most of the maintenance..
We have a – for The Hague – unique workshop for bakfietsen and e-bikes. Bel / mail ons voor een afspraak. Your choice will amaze people. You will get highly ambivalent and contradictory reactions. You move and you enjoy.